How Does Acetone Remove Paint? Acetone is a highly flammable petroleum distillate used in the manufacture of a wide variety of materials. It's highly reactive, making it suitable as a general solvent. 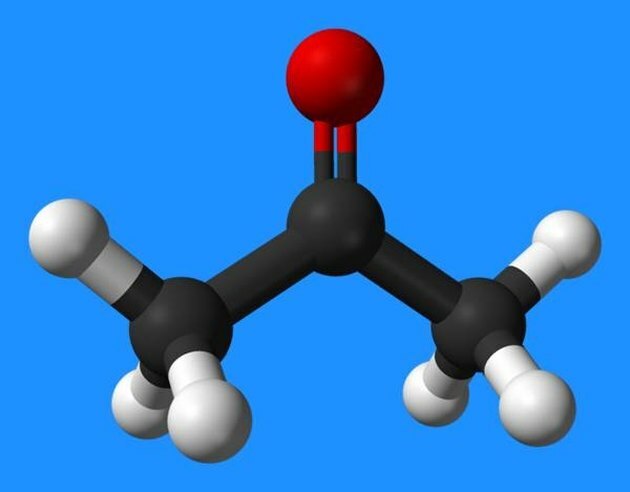 Acetone is the simplest ketone solvent, a group of chemicals that are highly effective in dissolving plastics, acrylics and glues--including epoxy and cyanoacrylate. Acetone is the primary ingredient in nail polish remover. 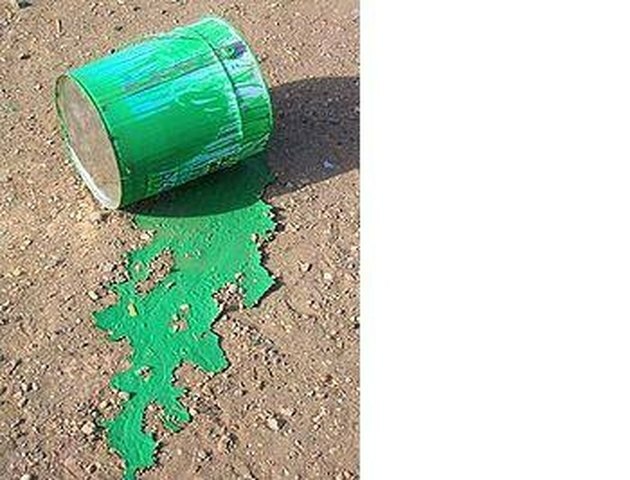 It's less toxic than tetraclorethane, benzene and methanol and is frequently used in paint thinners and removers in combination with toluene and methanol. Although acetone is flammable, it's one of the less toxic solvents. Although vapors aren't deadly, use of any solvent should include good ventilation, use of eye protection and prevention of ingesting or swallowing any of the substance. 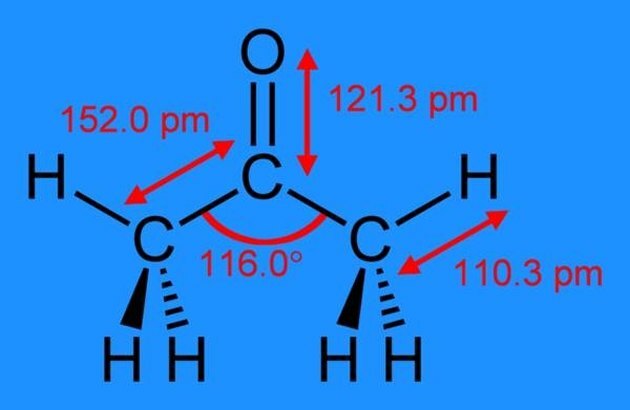 Acetone has a simple structure of two atoms of carbon with three hydrogen bonds each and one carbonyl, or a double-bonded carbon and oxygen atom pair. The carbonyl bond makes acetone miscible (easily mixed) with water. It's acetone's ability to bond with other solvents that may not be miscible that makes it a popular ingredient in paint thinners and removers. 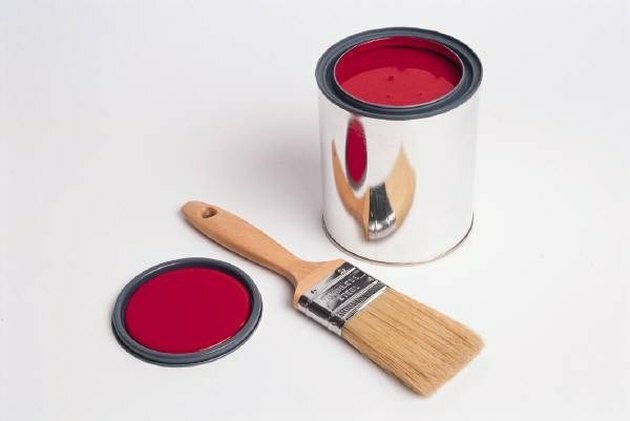 Methyl isobutyl alcohol and methyl isobutyl ketone are two common paint stripping compounds that use acetone. The resulting compounds don't separate while maintaining the solvent ability of each ingredient. The resulting sludge dries more slowly than if the solvents had been applied separately. Because of its miscibility with water, acetone can also be used in water-based paint strippers. Because acetone mixes so well with other chemicals it's a benign ingredient, seldom causing the dangerous vapors caused by cleaners combining alkalis or chlorine. Acetone dissolves paint from the top down. It reacts with surface molecules first, giving electrons from its hydrogen groups at either end of the molecule. Its miscibility allows it to mix easily with organic oil paints or acrylics, softening them and then forming a mixture with them that stays malleable. Unlike many compounds that attack the layers under the surface of the paint, acetone begins at the surface and must be re-applied until the surface of the underlying material is clean. Because it works from the top down, the wood surfaces underneath paint aren't continuously soaked with solvent until the job is finished, minimizing damage caused by the raising of the grain in repeated applications. Plain acetone is be used on lacquer and varnishes; it softens them by combining with the linseed and flax oils used in their composition and softening the entire coating. This allows it to be easily removed with scrapers and wiping with linseed oil or mineral spirits. Why Are Household Ammonia & Vinegar Used As Cleaning Agents?